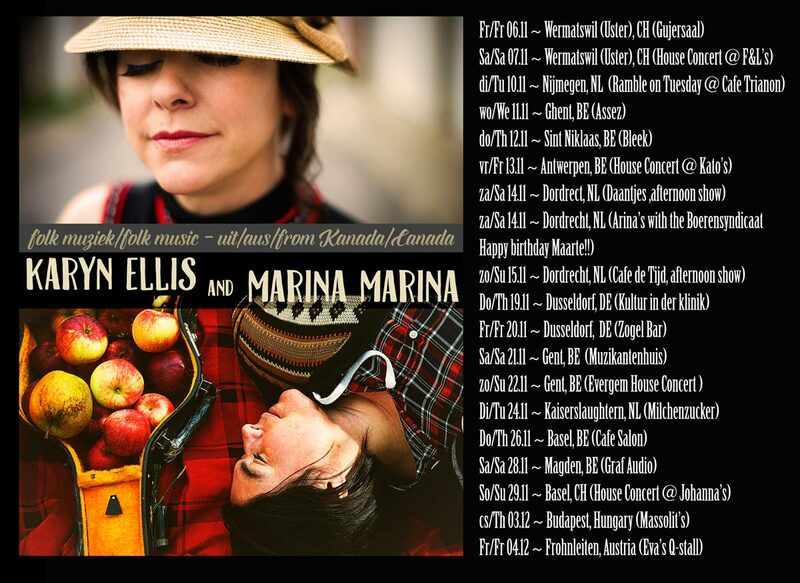 Exciting tour developments – new shows! New show added on Monday November 23rd Sunday November 22nd in Evergem, Belgium, near Gent! Evergem House Concert. Mmm say that a few times, sounds good hey? We have a show in Budapest on Thursday December 3rd at Massolit’s. 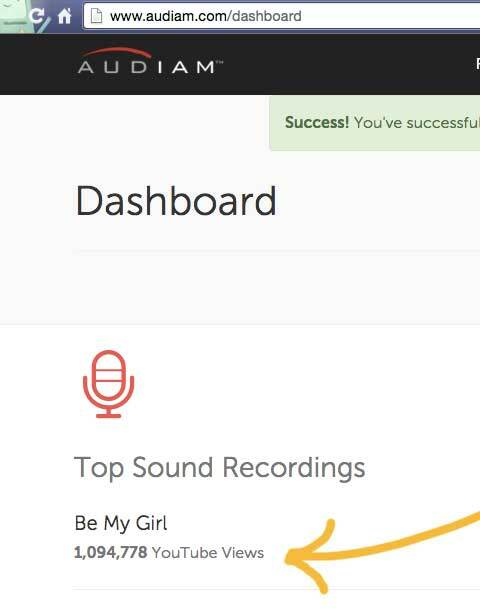 Checked my “Be My Girl” stats on Audiam today…*shrug* No big deal. Weeeeeeeee! Thanks for featuring my song, Degrassi! Hey, Marina and I were able to juggle around our schedule and move the Daantjes show in Dordrecht from the 21st to NEW DATE: Saturday November 14th (afternoon show). This means we now have an entire weekend free Sa Nov 21/Sun Nov 22/Mo Nov 23! (1) where should we go / what touristy thing should we do with our days off? See you soooooooon! Marina and I are heading the the airport RIGHT NOW!! A couple days to acclimatize (thanks to the clocks moving forward, jet lag shouldn’t be too bad?? )… our first show is THIS THURSDAY NOVEMBER 6TH, just outside of Zurich in the village of Wermatswil. Check my Tour Dates Page for the full itinerary. [Side note 1] We’re looking for a place to stay in Nijmegen after the show on Tuesday November 10th. [Side note 2] If you can’t come to us, hit us up with shows on our free days. We want to come to where you are!